Why not choose to make taking part in one of Mallorca activities or sports events as next year’s fitness goal? Katie Handyside gets us thinking about fitness in 2018. MARCH : In March we have the Spartan race – physical but really fun. APRIL: Or a bike race in April? The 312 or 167. MAY: Between the 16-20th of May our ‘Six Points Challenge’ which circumnavigates the island. It encompasses the 6 compass points of Mallorca from South to North East to West. You can either choose to do one leg/day or the whole thing spread over the weekend. 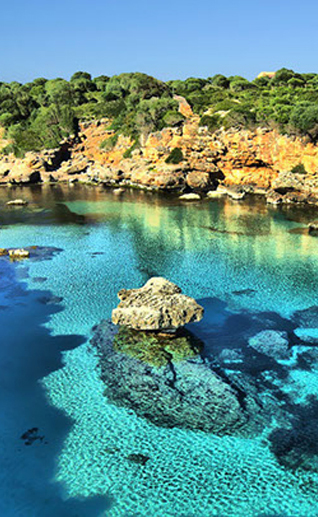 There are so many possible adventures waiting for you here in Mallorca. Canyoning is physical but the scenery is incredible. Various kayak adventures, road biking and hiking can take you to some amazing spots. How about a combination of everything? Let me help you to choose a suitable race, get you ready for it and set it as a long term goal. l can organise interim outdoor challenges for you as smaller short term preparation goals. We have a lot of of history on the island helping people with intermediate personalised training and nutritional advice leading up to the events. Have you ever tried a group trip involving hiking and canyoning or road biking? There is a heap of exciting activities to keep your workouts fun. At the same time you will become super healthy and fit. We can periodise your activities so when the 2018 event comes around you totally beast it. A swab taken from the inside of your mouth reveals your individual genetic nutrition and vitamin needs and responses to foods. Any personalised training plan can then take into account your present level (regardless of where you are starting) and measuring, testing and retesting. It measures your body composition, fitness levels, lactic threshold, vitamin and mineral deficiencies and more. This retesting will illustrate your fitness levels. Seeing improvement will give you massive motivation and ensure that you stay on track. Do not underestimate the impact of getting yourself involved and outside. It is our most primal instinct to be in nature and it instantly quashes any feelings of anxiety, depression and negativity. Furthermore, these excursions on the island are thrilling. We are all so lucky to be here and train with Mallorca as our backdrop and explore stunning locations that we would otherwise have no idea existed. Even if you are only here for a short period, get involved! It is fabulous to explore Mallorca, take in the sights and return after a day of being outside, exhilarated and exhausted. Many people think they are too unfit to start training. Although they feel depressed about the way that they look, they are too self conscious to get help. Do yourself a favour and make a decision to get help to start. I have trained with people who were so overweight and miserable they were at rock bottom and felt like a lost cause. Also people who had let themselves get so incredibly unfit they were almost too embarrassed to begin an exercise program and kept telling themselves that they would start on their own – but of course never did. I have trained all ages, weights, fitness levels – or lack thereof – people in their 70’s, others who began training with me at over 130 kilos. Each person was surprised at how quickly they started to feel the benefits of a personalised training program, nutrition and some extra organised activities. Instead of hitting the bars late at night they were in bed early and excited about the next day’s adventures. Instead of waking up with Monday morning blues they were leaping out of bed all excited about their body and mind transformation. And so satisfied that they had been out there and accomplished activities at the weekend. It is very powerful to make progress and feel all of the extra energy. Live with the amazing mindset created from just moving your body, eating better and getting out there and exploring the island. Contact me to find out how you can start an individual or group training and how to organise extra activities that get you moving in a fun way. Regardless of where you are at the moment get help to make a change. If you like this article you may also like this one.